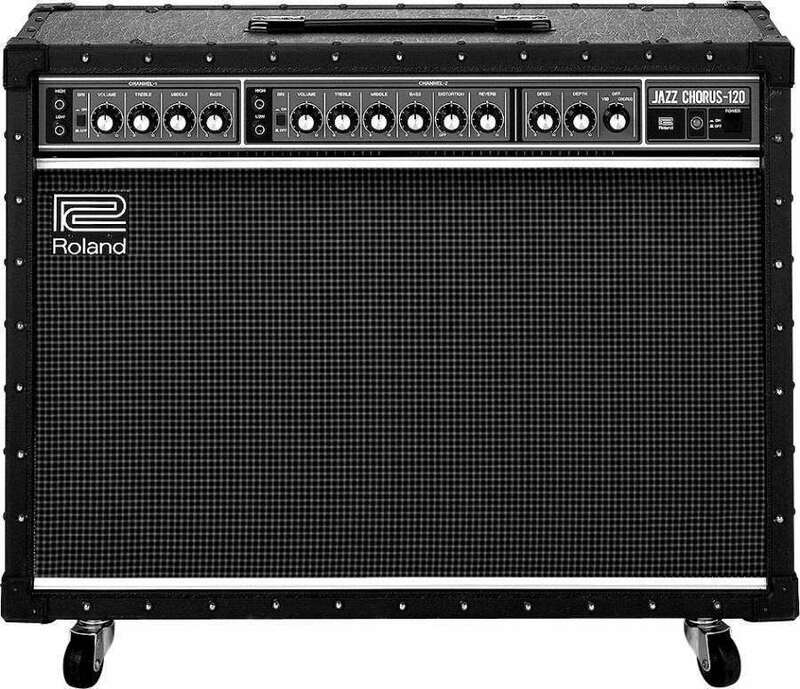 Its been thirty years since the first Roland Jazz Chorus guitar amplifier made its appearance. With its astonishing JC chorus effects and distinctive clear, tonally pure sound, the JC amp has become an industry reference. Uncompromising sound quality, unique chorus, and rugged construction make this amplifier a must-have for any serious musician. Weight: 28.0 kg / 61 lbs. 12 oz. The only bad thing about this amp is that it's a little heavy. It's ridiculously loud so you'll have the volume on 1 if you're practicing and 2.5 if you're jamming with drums that aren't mic'd. On a very big stage you might get a chance to run it on 5. 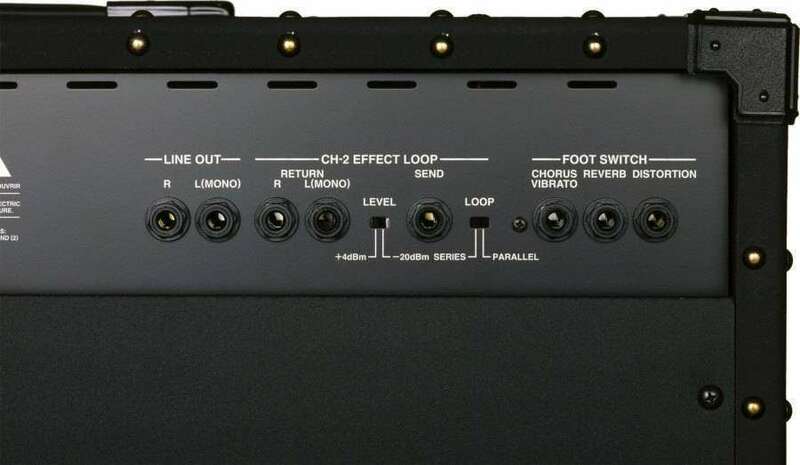 The built-in distortion is kind of rubbish, but it is a perfect platform for effects (I think that's why it's fans are so diverse; Metallica, The Cult, The Police, The Edge). The clean sound is perfect, it's like a scientific reference amp, bass, mids and highs where you want them and cleanly articulated. And the chorus is quite beautiful, and as pretty as chorus can get without sounding like you teased your hair and put on tight-stripey-trousers. Pair it with your preferred distortion or mult-fx and you will never be jealous of someone with a tube stack.